Occupied Jerusalem: Tens of thousands of Palestinians are no longer getting food aid or basic health services from America, US-funded infrastructure projects have been halted, and an innovative peace-building program in Jerusalem is scaling back its activities. The US government’s development agency, USAID, has provided more than $5.5 billion to the Palestinians since 1994 for infrastructure, health, education, governance and humanitarian aid programs, all intended to underpin the eventual creation of an independent state. Much of that aid is channelled through international NGOs, which were abruptly informed of the cuts last summer and have been scrambling to keep their programs alive. President Donald Trump says the USAID cuts are aimed at pressuring the Palestinians to return to peace talks, but Palestinian officials say the move has further poisoned relations after the US recognised occupied Jerusalem as Israel’s capital last year. The aid groups, many of which have little or no connection to the Palestinian National Authority, say the cuts hurt the most vulnerable Palestinians and those most committed to peace with Israel. 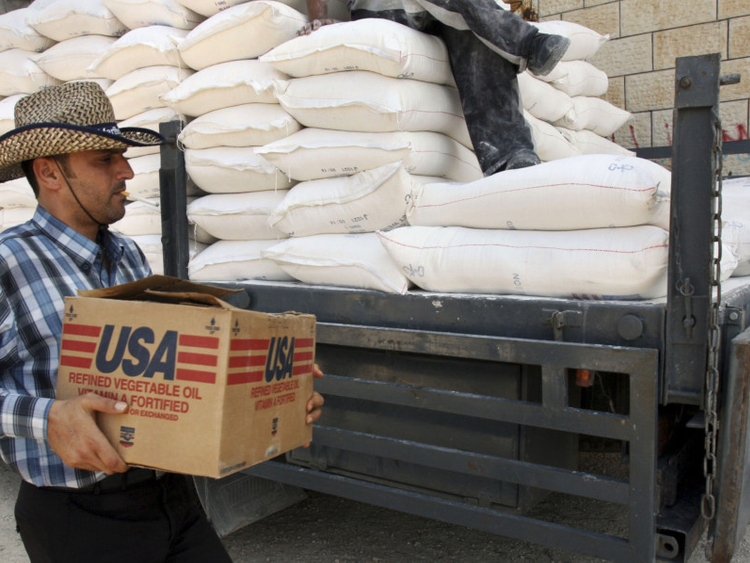 Since the aid was cut off, she’s been able to qualify for welfare payments from the Palestinian National Authority, which itself relies heavily on foreign aid. “Without it we would go hungry,” she said. Kids4Peace, a group founded by Israeli and Palestinian families in occupied Jerusalem in 2002, brings Jewish, Christian and Muslim teenagers together for seminars and summer camps where they can share their experiences and learn more about one another. The group’s organisers acknowledge the long-standing criticism of such initiatives — that campfires and singalongs won’t bring peace to the Middle East, especially after a decade of diplomatic paralysis and little hope for resuming meaningful negotiations. Trump also halted aid to the UN agency for Palestinian refugees, which provides basic services to more than 5 million Palestinians across the Middle East, but UNRWA was able to narrow the funding gap with aid pledges from other countries.